Make your own Simple DIY Succulent Planter! 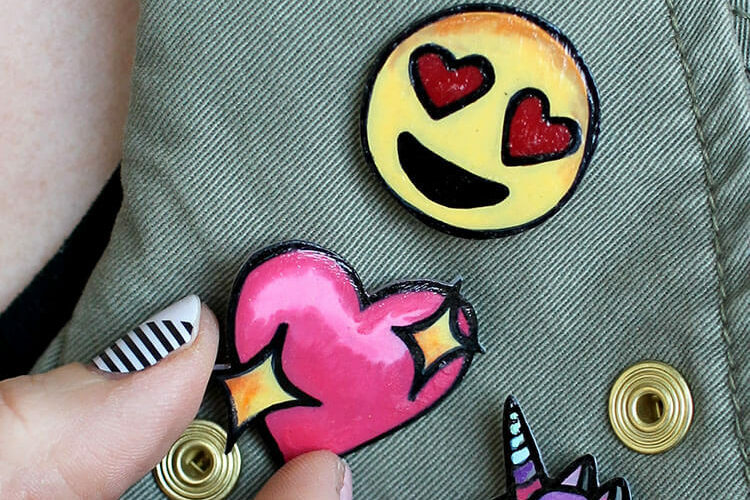 Easy to customize with a little vinyl stencil and spray paint. 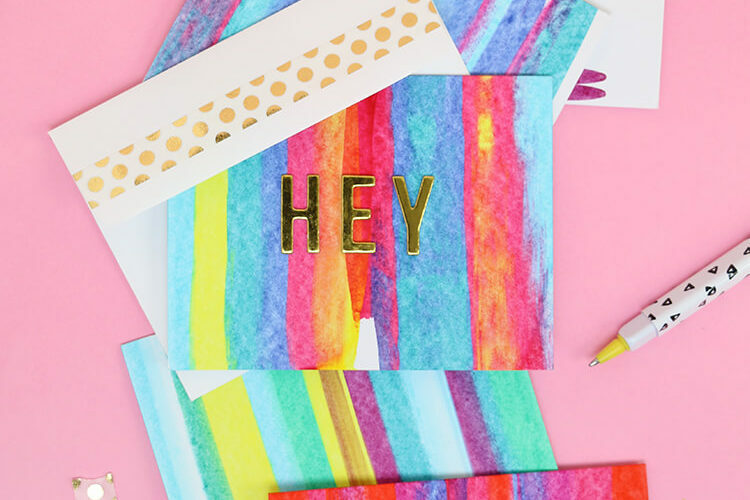 Thanks to Make It: Fun Crafts for sponsoring this post, which also contains affiliate links that help to support this blog. Friends, let me tell you – they are not impossible to kill. Many succulents and cacti have come to my house to die. Sad face. In the meantime, I still love the look of plants in my home. So, what’s a girl with a black thumb to do? 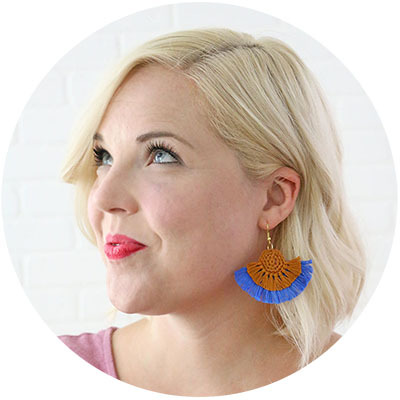 Faux to the rescue! 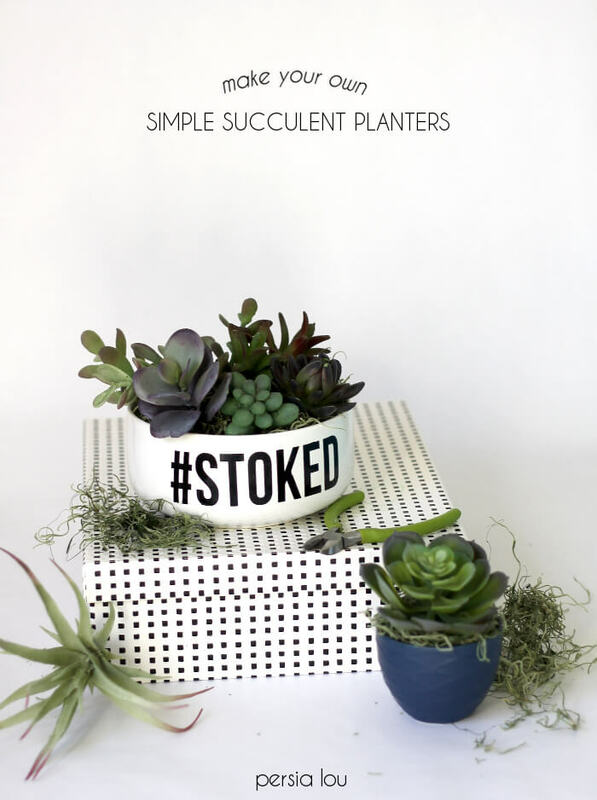 Floracraft just so happens to make some awesome faux succulents, and they sent me some in my Make It: Fun Crafts Team challenge box this month. Woot! 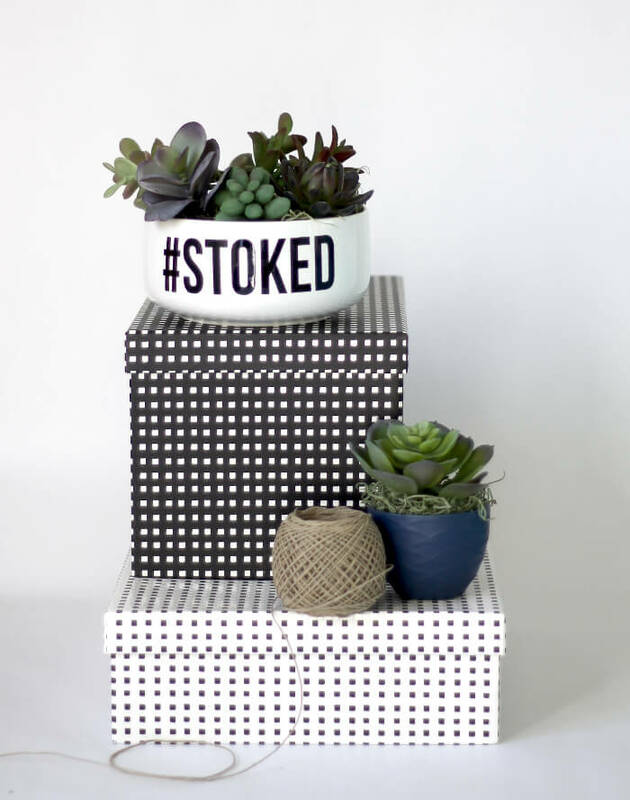 Enter this Simple DIY Succulent Planter. 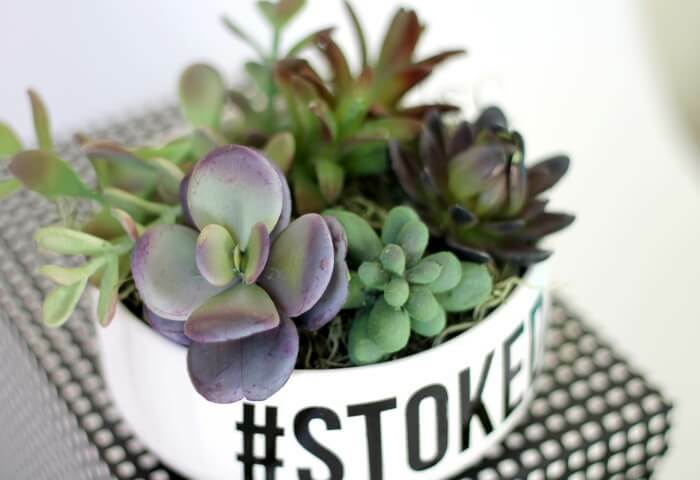 One great thing about these faux succulents is they don’t need any water, which means your container doesn’t need drainage holes, which means you can put them in pretty much ANYTHING. 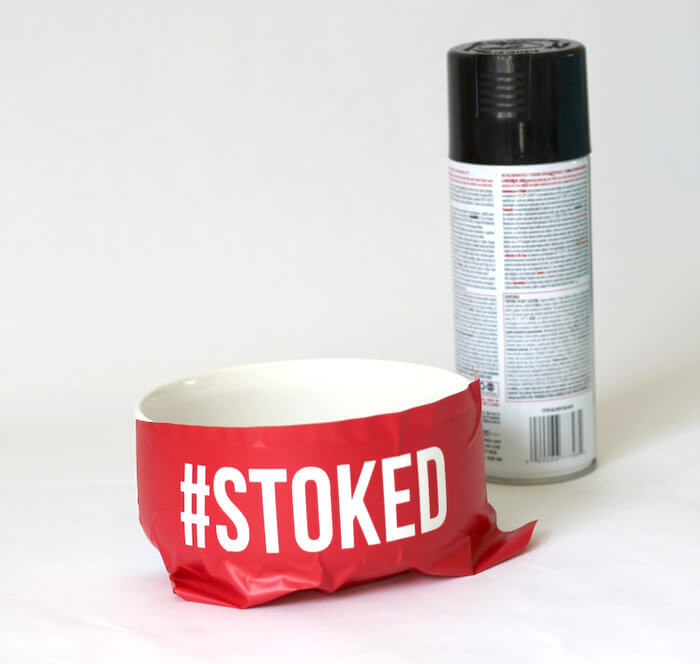 I decided to give my white bowl a little more personality by adding a typographical element to the front. I cut a stencil using vinyl and my silhouette. You could also use contact paper and a craft knife if you don’t have an electronic cutting machine. Apply the stencil to the bowl, trying to get a good smooth seal all the way around. If there are any little bubbles, the spray paint can get underneath, and you won’t have a clean design. If this happens, don’t panic! I had a few little spots where the paint leaked out a bit (see the bubble at the top of the E there?). If you get a damp paper towel and very carefully wipe off the excess paint before the spray paint has dried completely, it will come off. Once the paint is dry, you are ready to get planting! I cut a piece of dry floral foam to fit the bowl, and then covered it with spanish moss. 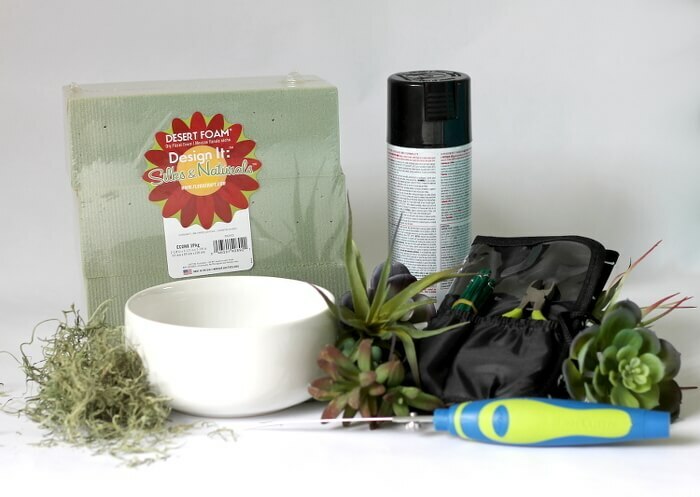 The floral tool kit comes with some cool pins that are great for holding the spanish moss in place. Then I trimmed the succulent picks to the length I wanted and simply stuck them into the foam. And that’s it. Ta-DAA! I’ve got some new, fun little succulent planters! That little blue bowl is a dip bowl from Target. Perfect planter, right? Anyway, What do you all think? 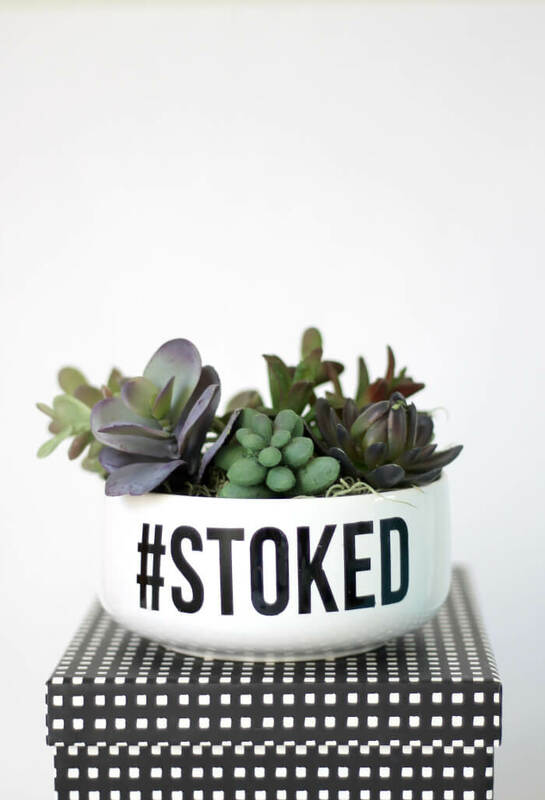 What would you use to make your simple succulent planter? If you make your own, I’d love to see it! Share your photos to my facebook page or tag me on instagram or twitter (@persialou), and don’t forget to use the hashtag #persialou for a chance to be featured. I know what you mean — I’ve killed cactus and succulents, too! 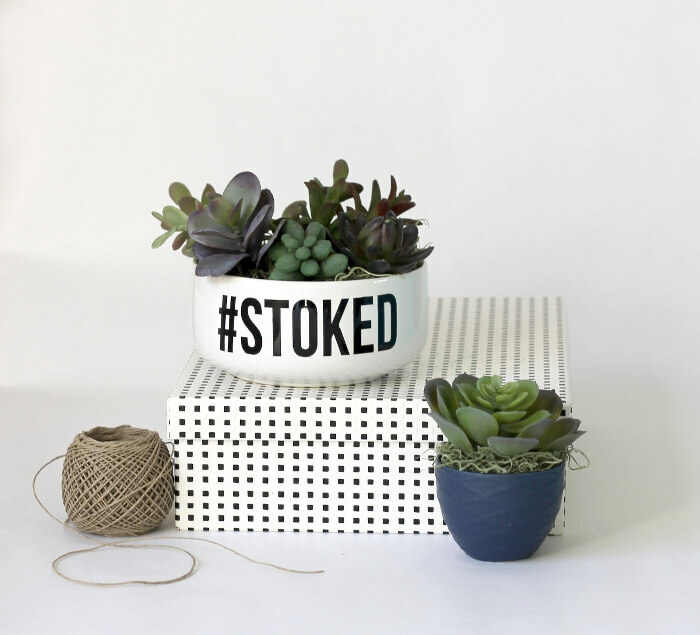 These planters are the way to go, and they’re so cute! Thank you. Love these Alexis! Of course I love the saying and the fact that you can’t kill those is right up my ally! This is an awesome project Alexis! I can’t believe how real those succulents look. Because I love succulents so much and I get so busy and sometimes forget that plants need water (oops!) this is a great idea for me! Plus it would be fun to be able to pick virtually any container for them. Thanks for sharing! Oh man, I always forget that plants need water too. Haha… Thanks so much for stopping by, Shonee! It’s so sad! I wish I was better at keeping plants alive. I’m working on it!